The Income Tax Department recently released a clarification stating that it would accept requests for mutual agreement procedures (MAPs) and bilateral advance pricing agreements (BAPAs) in transfer pricing disputes with all countries regardless of the existence of specific provisions in the Double Taxation Avoidance Agreements (DTAAs). A 2012 survey by Ernst and Young shows that India is the third highest jurisdiction with pending transfer pricing disputes with more than 1500 pending disputes in 2011. This number has escalated in recent years and courts in India have been overburdened with transfer pricing disputes which have been stagnating for prolonged periods. How has the position changed? This marks a significant shift from India’s prior position on transfer pricing dispute resolution. 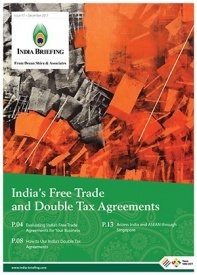 Previously, India had imposed an embargo on entertaining requests for entering into a MAP or BAPA with a country unless the DTAA with that particular country contained Article 9(2) which provided for a ‘corresponding adjustment clause.’ This meant that unless provided under the tax treaty, transfer pricing disputes could be settled only through domestic litigation instead of the more efficient and internationally preferred mode of bilateral arbitration. This position was contrary to international standards and was criticized by several corporates in trading countries. MAPs and BAPAs are internationally preferred alternate dispute resolution mechanisms in cases involving transfer pricing disputes. While BAPAs are designed to deal with the dispute resolution procedure before the dispute arises, MAPs provide procedural guidance once the dispute has arisen. As per the recent clarification issued by the tax authorities, India can now enter into MAPs and BAPAs with all countries irrespective of specific treaty provisions in the DTAA to that effect. This essentially means that parties can seek recourse to bilateral arbitration and other efficient modes of dispute resolution as per the terms of the MAPs and BAPAs. 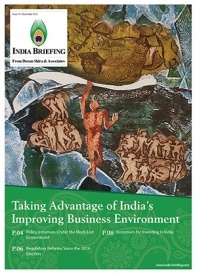 How does it impact India’s international business relations? This clarification is beneficial for India’s international business transactions with major trade partners like France, Germany, Italy, Singapore, and South Korea whose bilateral tax treaties with India currently do not contain the specific clause. India’s new stance in favor of MAPs and BAPAs clearly indicates that the federal government is taking serious note of concerns raised by the international business community. A BAPA or MAP can now be used for inter-corporate transactions involving companies registered in two countries and taxpayers can avoid double taxation by approaching the competent authorities to agree to transfer pricing implications for the company. Internationally, the number of jurisdictions which have introduced MAP and BAPAs continues to expand with jurisdictions like Switzerland and New Zealand having some of the shortest time spans for transfer pricing related dispute resolution. This positive move is expected to improve India’s ranking in the World Bank’s Ease of Doing Business Index as it is in conformity with international best practices prescribed by the OECD. Access to MAPs will make transfer pricing dispute resolution more efficient and access to BAPAs is expected to enhance certainty and help avoiding double taxation with regard to transfer pricing.